We took the popular ARP 556 and gave it some upgrades with the new ARP 556 Battleship Grey. 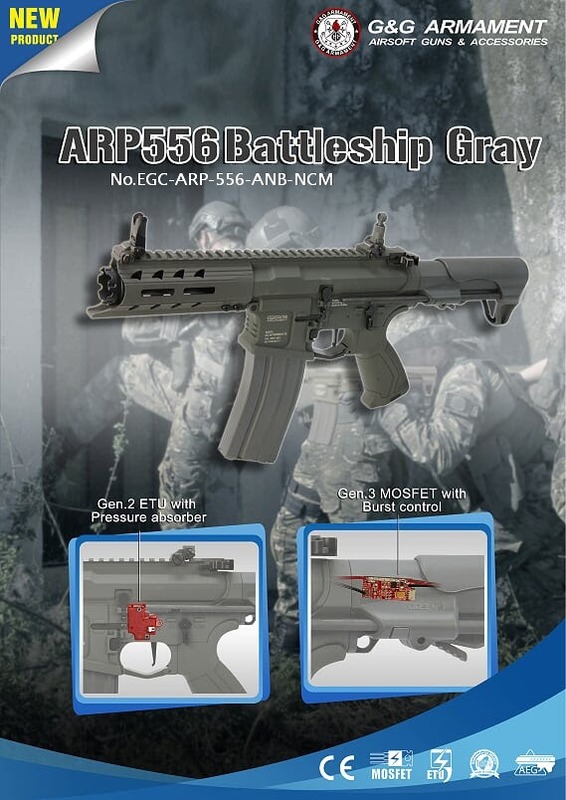 Equipped inside the new ARP 556 Battleship Grey is a Generation 2 electronic trigger unit (E.T.U.) with a pressure absorber. The pressure absorber takes the excess force of the trigger pull to give a quicker and faster response. In addition, we have installed the new Generation 3 Mosfet with 3 round burst control feature. The new color and compact size make it ideal for indoor and urban environments. Contact your local G&G authorized dealer for pricing and availability.